Dr. Yang, Jwing-Ming and the students of the YMAA Retreat Center's long-term kung fu training program instruct intermediate-level body conditioning exercises. Dr. Yang, Jwing-Ming and the students of the YMAA Retreat Center's longterm kung fu training program instruct intermediate-level body conditioning exercises. Body conditioning is a prerequisite in traditional kung fu training. The purpose of body conditioning is to strengthen the entire body’s structure for the rigors of martial arts practice, gradually strengthening your bones, joints, and muscles. This allows you to develop speed, root, and explosive power without injury. Dr. Yang, Jwing-Ming offers one-on-one instruction of martial arts qigong exercises. Learn tips for working with weight vests. Train partner drills for reaction speed and sense of distance. You can become more fit and flexible, improve the health of your spine and internal organs, and enhance your cardiovascular endurance. 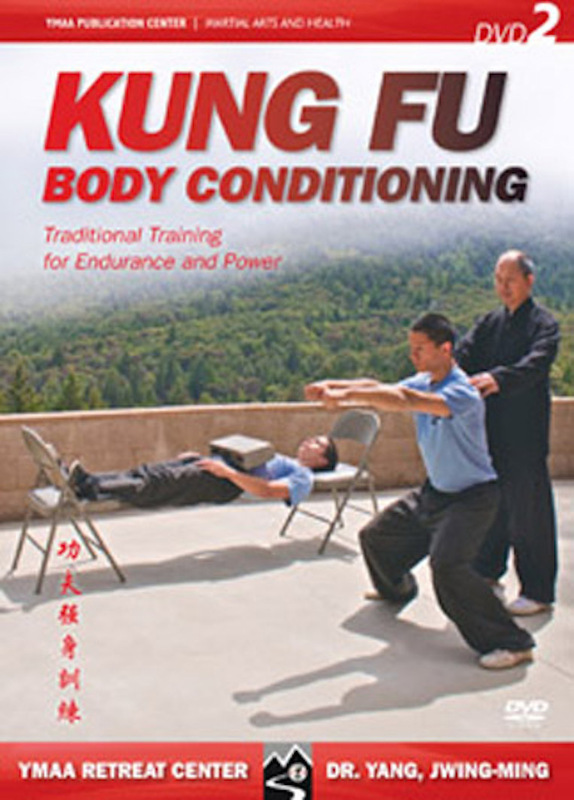 Download the Kung Fu Body Conditioning 2 Booklet.